This year is all about IMMERSION! 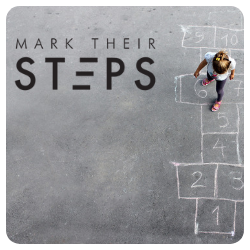 I have now been teaching Mark their Steps for over 5 years and Mark & Measure over the past year. Through this experience of teaching over 400 chiropractors and working with many of you in practice integrating Well Kids, I know HOW to create real change in practice. Do you want to know what the MOST difficult part of change is? … Even when you know that results are just around the corner? … It’s within your reach … The only thing that is holding you back is your HABITS! Yes, your HABITS. Holding on to the ‘way’ you have created consciously but most of the time UNCONSCIOUSLY. They may not be the most appropriate, time efficient OR even leading you to the outcome you actually WANT, but they are yours and you, like all of us, hold them so dearly. Breaking old habits and creating new ones takes time, energy and brain power. When you have a full schedule and a busy life it is HARD to change what you currently do, to something new. But that is what is needed if you WANT to make change. So, what if you could fast track your learning? What if you were able to BEGIN that muscle memory BEFORE you go back to practice? What if you LIVED and BREATHED caring for children for three days in a state of the art practice, built specifically for that purpose? This is why I am inviting you into my practice in Warners Bay, Newcastle – Australian Children’s Chiropractic Centre. 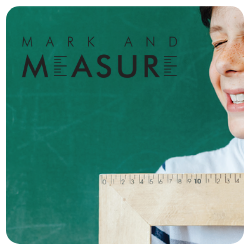 Over three days you will go through the content for both Mark their Steps and Mark & Measure. Start with UPDATING your exam, SEE how we have set it up, START making your list of tools, LEARN from us – COPY our way of doing things! Build your skills, develop NEW habits. Both seminars have been designed to work PERFECTLY together. Learn WHAT to do and HOW to do it to ENSURE you walk away with a plan. Join me in Newcastle for a practice changing, current direction deviating, conscious decision-making, immersion seminar weekend. It’s a weekend to change things for the better. If you are unsure if your current paediatric care management procedures live up to modern expectations of your families, peers and governing bodies then Mark their Steps is for you. In this newly updated seminar you will dissect your current practice, look at the latest scientific research in care management of children and leave with a step-by-step plan to update your practice. This is the one seminar that will help you completely re-evaluate & transform your practice procedures and help move you towards ‘best practices’. The goal of this seminar is to improve the level of knowledge and expertise around chiropractic examination skills for children through problem based learning. This seminar is designed for the student chiropractor, family chiropractor and the chiropractors passionate about up-skilling and increasing knowledge around more detail examination skills.